Satan Kitty demands your worship, and some catnip, and some shrimp, seriously go get it now. ﻿And the real puppet masters behind all the Golden Dawn drama is...cats! 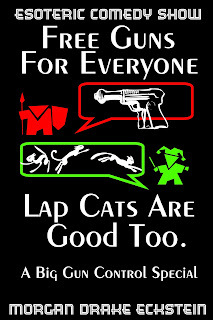 All the flame wars you see are actually directed at dog lovers, and we all know that dogs drool and cats rule. And the chief of the Golden Dawn puppet masters is Satan Kitty! Worship Satan Kitty---give him all your love, catnip, warm beds, and all your shrimp. You know that you want to worship Satan Kitty.